So, we eat a lot of these. And by “a lot” I mean several bags a week. And be “we” I mean me. I thought it would be fun the other night to make my own in the hopes that maybe by taking so much time to craft them I’d be less likely to inhale them. Not so much. These cookies lasted 18 hours in our house. Maybe you have more willpower? Make the filling first. 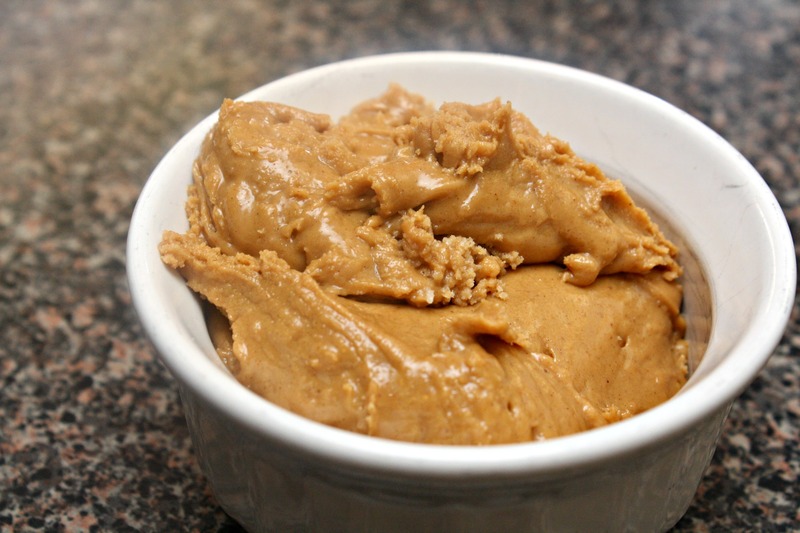 Combine the peanut butter and sugar and refrigerate until somewhat firm. For the cookies, combine the flour, baking soda and salt in a bowl and set aside. 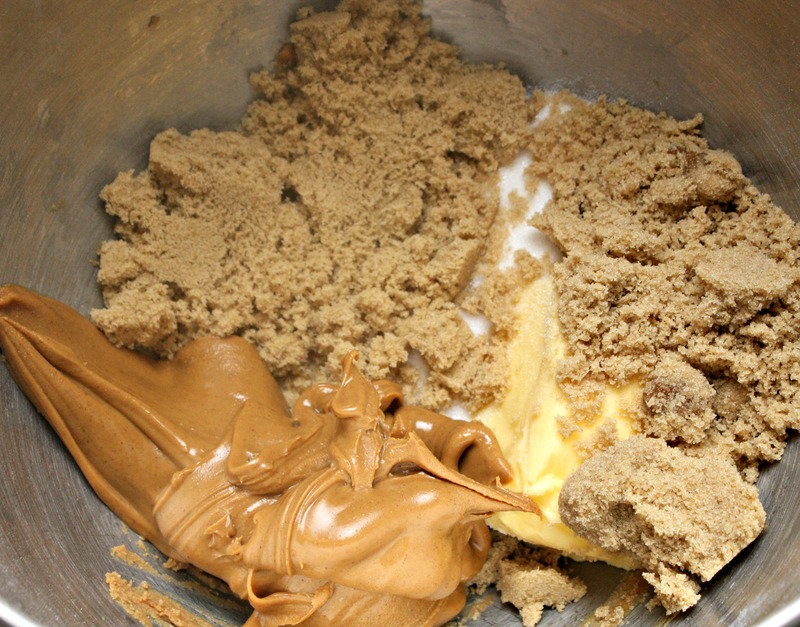 Next, cream together the shortening, peanut butter, sugars, egg and vanilla. Gradually add in the flour mixture on low speed. 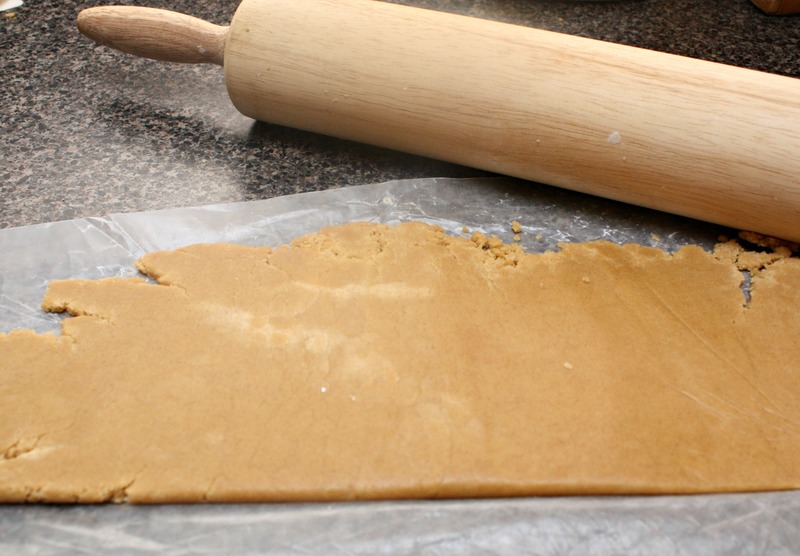 Preheat the oven to 350 degrees and chill the dough for about 20 minutes, then roll it onto waxed paper. Cut out identical shapes using a cookie cutter. Or, if you’re utensil challenged such as myself, a measuring cup works great. Bake the cookies for about 8 minutes or until they begin to brown on the edges. They won’t spread, so you can fit them in closely. Cool the cookies on a plate or wire rack, then spread a tablespoon of filling on half the cookies and top with the other half. Hide them from your husband and toddler. Sneak downstairs at 2 am and enjoy with a glass of cold milk. Holy buckets, these look delicious. Peanut butter + powdered sugar = Heaven on earth. Can you just eat the filling with a spoon and then polish off the cookies at 2am? I need to figure out how to make these GF. Immediately. I pinned a GF chocolate chip cookie recipe for you this weekend! I need these. Like, now. They look delicious! I think that pregnant women should be able to snap their fingers and immediately conjure up any food they crave at that moment. Can I move into your house? If I was there, these cookies would have lasted 2 hours. Max. Sure, as long as you don’t mind my OCD cleaning habits and my husband’s snoring. Ooh, good luck with your detox! No. I don’t have the will power. 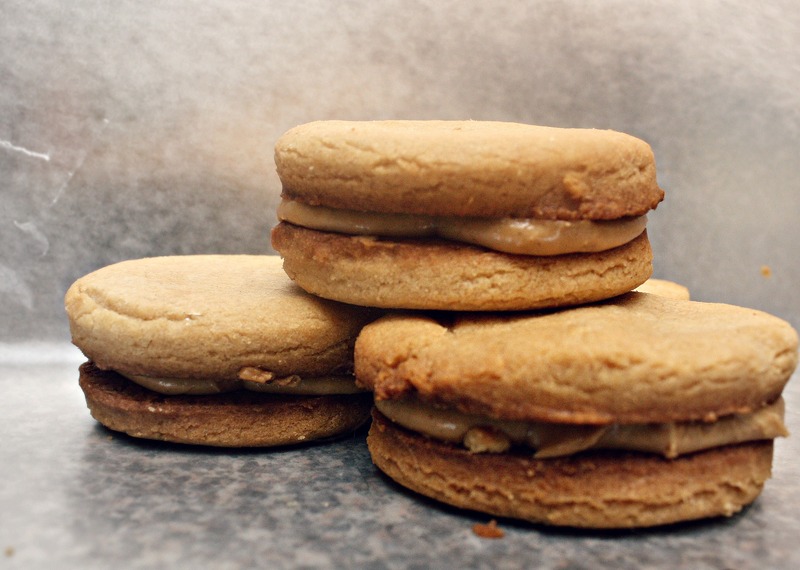 These look Peanut- buttery- fantASTIC ❤ WOW. Yum…. I wish that I weren’t watching what I’m eating!